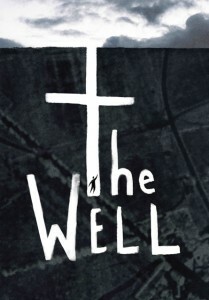 A powerful, visceral drama, set in Victorian Brighton, about the world’s deepest hand-dug well, a well that stretches down as deep as the Empire State Building is high. With vivid writing, energetic and risk-taking physical theatre, a wonderfully dramatic set and stunning lighting, we’ve created an evocative and atmospheric world, touching on the archetypal whilst grounded in themes of personal struggle, intimacy and love. With (alphabetically) in 2013: Jonathan Brown, Antje Gern, Julia Hart, Simon Hellyer, Rhiannon James, Raya Marlee, & Erica Smith. “….wholehearted, studied performances and a clever script make it easy enough to follow, especially once you’re keyed in. The effect is to give the play an intoxicating fluidity and unpredictability..…a gripping, expertly paced story. Some superbly dramatic set pieces, including a genuinely thrilling finale, ….well worth the effort.” The Argus May 2013. Street Scaffolding, Brighton, for loan of scaffolding. Music / Choir Leader: Jo Mortimer . Once you’ve paid, Contact us and we’ll send you a download link.